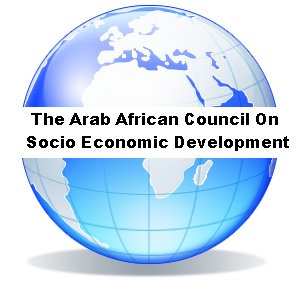 CAIRO, MAADI, EGYPT, March 22, 2019 /EINPresswire.com/ -- The Arab African Council on Socioeconomic Development (AACSED) and PIMO Block Led By Sheik Yaqub Sibindy, Make an Urgent Plea to Arab and African States for emergency AID to Mozambique Flood Victims. AACSED Chairman Dr. Mohamed Zayed, PhD and Deputy Dr. Ibrahim El Nattar made a joint statement together with PIMO Extra-parliamentary Block President Sheik Yaqub Sibindy (Maputo, Mozambique) whereby they expressed an Urgent Plea to Arab and African States for Emergency AID to the disaster stricken Mozambique, where Violent Flooding and Damage has destroyed infrastructure and roads leaving thousands trapped in high flood waters. Dr. Zayed Stated that "thousands of women and children with their families are trapped in the Beria and other regions which were stricken this week by Natural Disaster and we implore Arab League and African Union Member States to Send Urgent Emergency Aid to the Area via Military or Civilian Aircraft, Helicopter and other means to aid the stricken people and region"
Dr. Zayed Noted the comments of Sheik Yaqob President of the PIMO Extra-parliamentarian Block (Maputo Mozambique) who stated that " Mozambique maintain more than 60% Muslim population and we urge our Arab Brothers and African Family to Come to our Urgent Aid as fast as possible"
Dr Zayed States that "Food, Medicine, Air Lift Rescue (via helicopter as it is the only means of access to the central area) is of vital importance and needed urgently"
Dr Zayed Stated that they are also placing a Donation Link for Aid in this News Release and urge all who can to donate to the cause in any amount.